Hundreds of people turned out to take part in the NHS at 70 bed push and 5k and 10k run at Cardiff Bay recently. 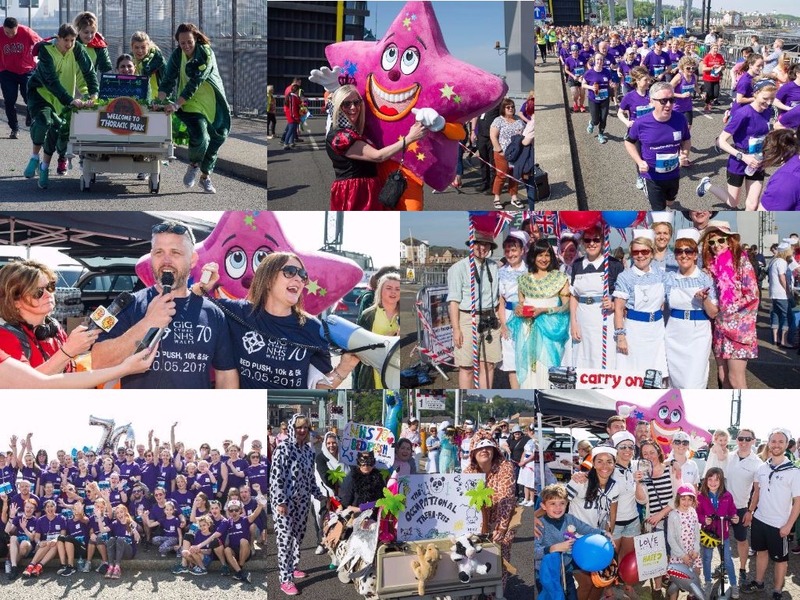 With blue skies overhead and a sea of smiling faces, 16 teams took on the bed push sprint at Cardiff Bay Barrage, with wonderfully decorated beds and team spirit a plenty. Almost 300 people took part in the 5k and 10k run around the Bay in the glorious sunshine. Bed push racers and runners have helped to raise over £7,000 for Cardiff & Vale Health Charity to support those with brain injuries and other departments across the UHB. 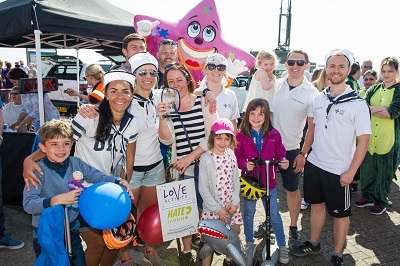 The winners of the bed push race were The Physio Sailors, Occupational Thera-pets took the title of best dressed bed and the Health Charity team are waiting to announce the winner of the most amount raised as donations are still pouring in. Behind the scenes, helping to organise this event was Paul Harrison, Professional Lead for General Podiatric Practice at Cardiff and Vale University Health Board. Paul was instrumental in pulling the event together, as in November 2016 he had a traumatic brain injury and is passionate about giving something back for the kindness and care he received. Lucie Barrett, Fundraising Officer for Cardiff & Vale Health Charity said: “I’d like to thank everyone for their sponsorship and donations for the brain injury unit at Rookwood Hospital and other departments across the UHB. I’d also like to thank our sponsors FSG, Cardiff Bay Morrisons, Cardiff and Vale Unison, Invacare, and the Publicity Centre. “I’d like to say a special thanks to Light Up Events who did a fantastic job in helping to organise the event. 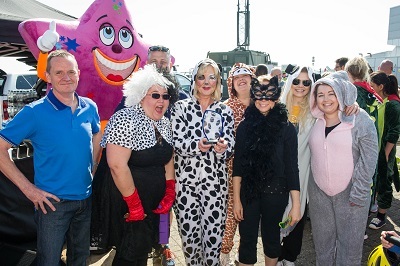 Len Richards, Chief Executive of Cardiff and Vale Health Board said: “I really enjoyed coming along to the NHS at 70 bed push and run.